The IASK Board is aware of the need to foster research projects aimed at showing the efficacy of Specialized Kinesiology methods without losing the holistic viewpoint. We asked a young Danish researcher, Magnus Birk Clausen, to help us develop specific methodologies. A reductionist approach might miss the empowering and often transcendental experience Specialized Kinesiology sessions often enable for the clients. with Magnus. The workshop was very good (see report in the January 2011 Newsletter www.iask.org/en/newsletters), and suggestions were made to expand the class to a 5 hour workshop. Birk Clausen. There were about 15 participants from Sweden, Denmark, Belgium, Italy, England, Austria, Australia, USA, and France. At the end of the day we chose to set up a Research network under the leadership of Wayne Topping who had had some experience with a project on migraine. The following persons volunteered to be part of that group: Wayne Topping, Hugo and Alexandra Tobar, Nicolette Peyre, Anastazya Wada and Annemarie Goldschmidt. Wayne thought it would be easier to collect data from the work with clients with knee problems than with migraine. 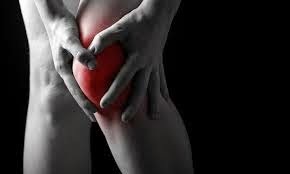 The Board of IASK undertook to finance a pilot project as soon as Wayne could produce a workable protocol for a research project on Knee Pain. Annemarie Glodschmidt presented the Knee Pain pilot project with a Power Point Presentation prepared by Wayne Topping on IASK Conference in Copenhagen in May 2014. She had us practice the corrections. The protocol is not yet finalized. A Danish team is trying it out. If your association is interested in participating in the research, please contact Annemarie Goldschmidt: dkpaed@yahoo.dk. She is the liaison officer between Wayne Topping and 'would-be researchers'. Wayne has also made a DVD (he will provide Annemarie with copies as need be) and Annemarie will send the finalized protocol and the DVD to the contact person in your association.